Car industry experts believe that the current auto loan market is in a bubble due to the historic rise in delinquency rates since 2012. They believe that it’s exhibiting signs similar to those witnessed in the real estate industry prior to the 2008 recession. Truth is, alternative and mainstream lenders have noticed this trend with increasing concern. How does this rising trend affect you as a car buyer? What are the reasons behind the rising delinquency rates? How can you minimize this impact? Be a smart car buyer! At least 20% of people who bought cars in 2017 had subprime credit ratings. However, the delinquency rate rose by 5.8 percent. This percentage might appear small, but when you look at the number of loans transacted in 2017, the loss amounts to billions of dollars. In 2017, lenders provided financing to buyers amounting to over 110 billion dollars. A 5.8% delinquency rate translates to 6.38 billion dollars in just 12 months. Most subprime auto loan lenders are now adopting tighter requirements such as raising the minimum credit score required to qualify for financing. As banks and auto finance companies create tougher financing requirements, the alternative credit options aren’t appealing. Car dealership financing has less paperwork than a bank or credit union loan however the interest rates are just too high for the typical buyer. Apart from car dealership financing, you’ll come across secured car loans. Here, a buyer hands over a title deed or stocks as collateral in exchange for an auto loan. This alternative is quite expensive and risky for buyers. Experts in the auto loan industry don’t expect the delinquency rates to drop drastically in 2018. This reality has made investors cautious towards lending subprime car loans. In order to prevent or minimize bad debts, both banks and alternative lenders are considering raising fees associated with skipped or late payments. The motive behind this decision is that the increased fines will put pressure on buyers to make payments on time. However, it also makes it harder for buyers who’ve fallen behind to catch up. Especially someone who’s just lost their job and needs a few months to get back on their feet financially. According to Finder, the total amount of outstanding auto loan debt has risen to $22.56 billion since 2013. However, a large portion of this debt is attributable to buyers with subprime credit scores. Is it because they have a reputation for defaulting? No, it’s not. Part of the blame lies in rising interest rates. Since interest rates tend to rise annually, credit lenders also increase the rates attached to subprime auto loans. However, this type of financing is already costly and increasing the interest rate makes it unaffordable to most buyers. That’s why most end up borrowing different loans to make car payments on time. Summit Financial Corp, Spring Tree Lending, and Pelican Auto Finance are examples of subprime lenders that filed for bankruptcy due to a high amount of unpaid auto loans. Their departure from the market has made it harder for buyers with subprime credit scores to buy cars. Have you ever wondered how a new and relatively small auto finance company that recently opened shop in your neighborhood provides big car loans to many buyers? Well, most lenders don’t lend out their own money. They approach banks and buy subprime auto loans for about 5% then sell at 8-9%. So, when buyers skip payments, the lender has to pay the loan using money from their own pockets and this affects capital reserves. One of the ways lenders can respond to the rising delinquency rates is by adjusting interests for subprime auto loans upwards. This move locks out buyers with unstable financial standing and this reduces delinquency rates. While this measure protects the lenders’ interests, car buyers might have to pay higher monthly payments. This makes it harder for college students and other recently hired permanent employees with modest jobs to afford good vehicles. As you’ve just seen, some subprime creditors are considering raising their interest rates to minimize delinquency rates. If this happens, there’ll be an increase in the number of car buyers who end up with lower credit scores than they had before stepping into the lot. When car payments get expensive, one may resort to frequent borrowing. 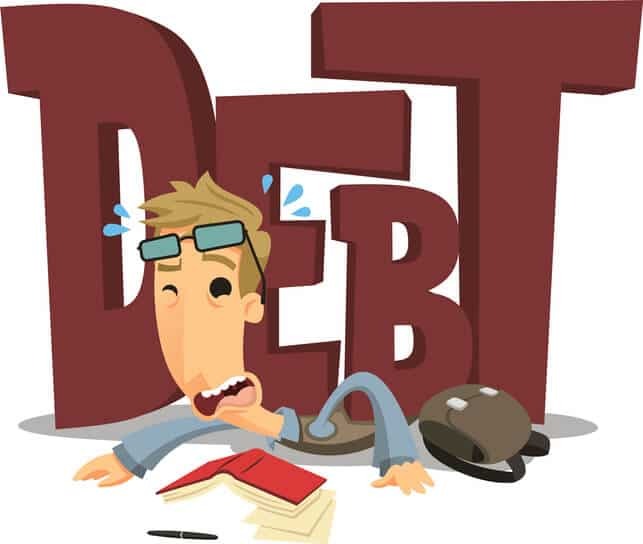 As time goes by, the buyer accumulates so much debt that it becomes difficult to keep up with each one of them. The skipped payments end up tainting a buyer’s credit score. If the current trend continues for another couple of years, the number of cosigner-free subprime loans will reduce to almost zero. Why will this happen? Because creditors won’t want to take on extreme financing risks without having cosigners as financial safety nets. On the other hand, involving a cosigner can affect your purchasing decision. Your cosigner will lean in favor of a very cheap car to minimize their financial risk attached to your subprime car loan. BMW and Mercedes brands have experienced a significant rise in demand locally since 2015. Is it because they’ve suddenly become more affordable to the average buyer who makes $50,000 annually? Certainly not. Since auto loans have made it possible for buyers to peel off car lots in their dream cars, more and more people feel emboldened towards making big purchases. You can walk into a bank or car dealership and secure financing in less than a week. That’s why owning a luxury car isn’t such a big deal as it was a decade ago. A rise or drop in interest rates affects subprime auto lending nationally. In 2017, interest nationally rose by 0.25 points raising it to 1.5%. However, experts believe that it will rise to 2.5% by December 2018. Interest rates tend to rise after every couple of years. This makes subprime car financing more expensive especially to first-time car owners with part-time jobs. Why? Because they end up with car payments that take up a huge portion of their net income. In order to curb delinquency, some credit lenders offer subprime loans with repayment periods ranging from 60-84 months. Doing this enables most customers to get monthly payments that fall within the $600-range. When you look at the bigger picture, you’ll realize that settling for a long-term repayment period is quite risky. It’s possible to lose your source of income after the third year into your loan. Sometimes, inflation can get so high that your current income won’t sustain your needs and payments. Failing to plan usually leads to failure. Sometimes buyers get so caught up with a subprime financing deal that they forget to sit down and analyze the facts. A car seller will persuade you into signing up for a long-term repayment period using very low monthly payments. However, after the 72 or 84-month period, the amount of interest you’ve paid in total is ridiculous. Millennials are notorious for making car-purchasing decisions without paying attention to total interest paid throughout the repayment period. This leads to a buyer picking a car that’s too expensive to maintain using income from part-time jobs. Banks finance at least two-thirds of new and used car purchases annually. However, 90% of these loans go to buyers with good credit scores and high net incomes. Since mainstream banks sell credit to smaller institutions at really low interest rates, it’s easier nowadays for buyers to obtain subprime car financing. That’s why car dealerships offer financing deals to first-time buyers without checking their credit scores. The problem with easy access to car financing is that it doesn’t filter out inexperienced buyers. Someone who’s never borrowed and repaid a bank or payday loan has a high likelihood of skipping or making late payments. If you’re not in urgent need of a car, then you can avoid paying high-interest rates associated with subprime auto loans. In fact, you can avoid putting your credit score at risk by creating and implementing a savings plan for your car. Rather than put yourself at the mercy of a credit lender, consider boosting your credit score to at least 720. Doing this qualifies you for typical auto loans with interest rates ranging from 3-5%. That’s way better than settling for a 12-16% subprime car loan. You can avoid getting caught up in the mix by improving your credit score before applying for an auto loan. Also, save up at least 40% as down payment to help you lower your monthly payments. Doing this also helps you pay less interest because you’ll be able to choose shorter repayment periods that don’t exceed 60 months.